Ubisoft is continuing to celebrate its 30th anniversary with digital PC title giveaways. 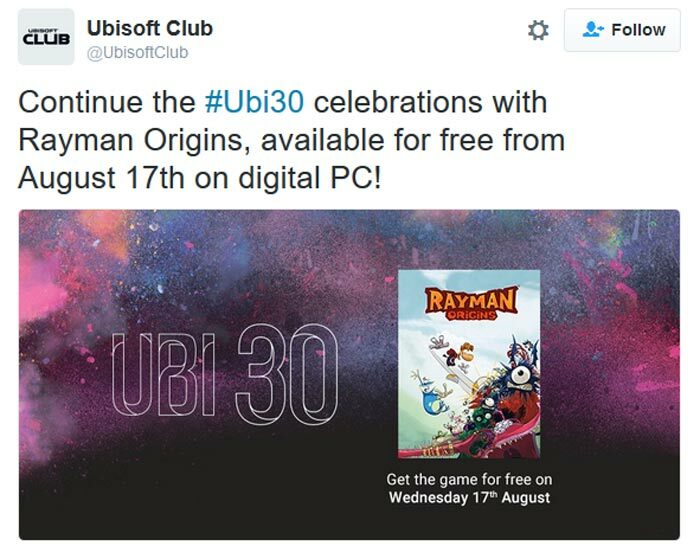 Currently Splinter Cell (2002) is the freebie up on offer, but Ubisoft has given us advance notice that the next giveaway has been lined up already, and it will be Rayman Origins. The free games will be switched on 17th August. Rayman Origins was the fourth main Rayman title and was released on PlayStation 3, PlayStation Vita, Wii, Nintendo 3DS, Xbox 360, and Windows PCs in November 2011. It is a well regarded game, praised for its graphical style, level design, and humour. Gameplay centres on its side scrolling platformer mechanics and features simultaneous on-screen cooperative gameplay for up to four players (depending upon your games playing system). 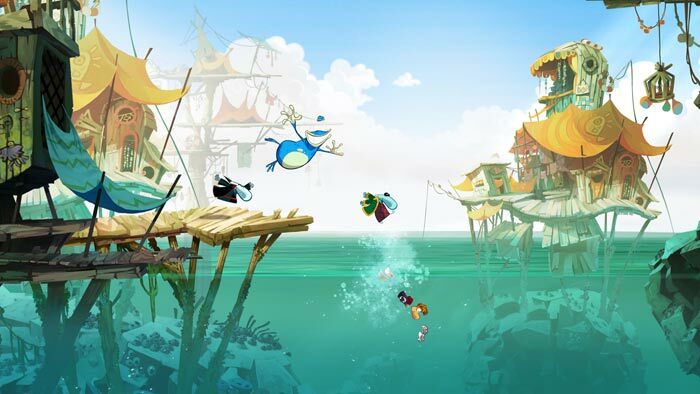 Ubisoft's Rayman Origins was followed up by Rayman Legends in late August 2013, and the sequel garnered similar levels of praise. Legends is the latest instalment of the Rayman franchise and was released on PlayStation 3, PlayStation Vita, Wii U, Xbox 360, and Windows PCs. Nice. I never bothered with Origins because Rayman Legends contained a kind of “Best of Rayman Origins” section, so it'll be nice to finally give this a try. To anyone who tries this and likes it: I strongly recommend you play Legends. It's a superb game.